The ultimate grooming essential for men on-the-go. The Tweezerman G.E.A.R. Pocket Multi-Tool is a multi-tasking implement crafted from premium quality, polished stainless steel. 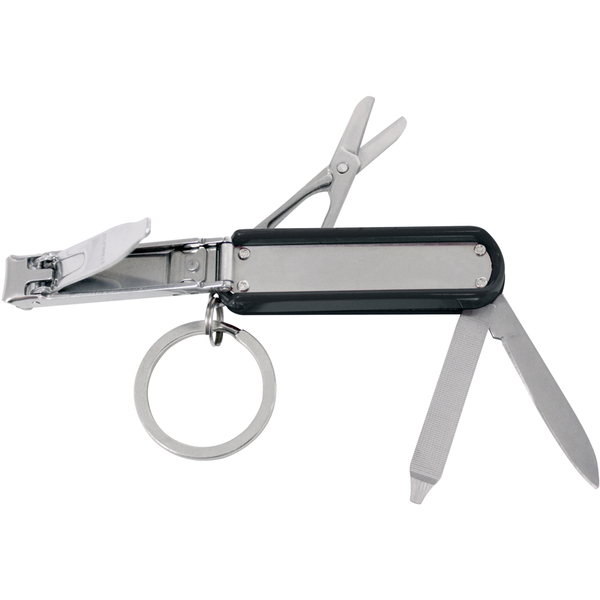 Helping you stay preened and proper whilst out and about, the durable gadget features a folding nail clipper to trim nails with precision; a nail file and cleaner to clean and buff; nose hair scissors with rounded tips for safe and easy trimming, and a handy pocket knife. Complete with keychain for convenience. - K.N.